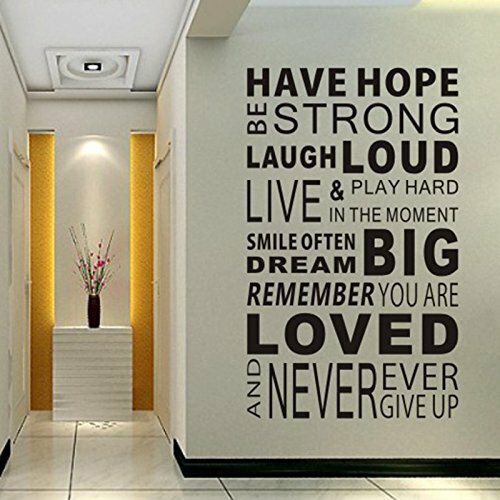 The wall sticker is made of good quality of PVC material. It is very easy to apply.It can be directly attached to the walls glass, ties and son on. but repeated paste may affect the original condition. Apply Suggestion: Choose a smooth surface where you want to apply the sticker. Make sure that the surface is clean and dry. You can use a soft cloth or credit card to press the decal to smooth out any wrinkles. Image is not of actual scale. Please view the size above for actual size. Eco-friendly, non-toxic decals - safe for your baby. Easy to Paste the decal without any messy paint and brushes. If you have any questions about this product by Delma, contact us by completing and submitting the form below. If you are looking for a specif part number, please include it with your message.